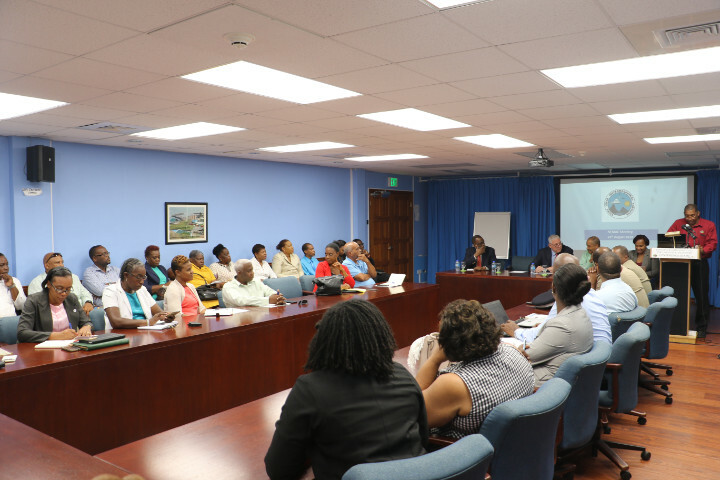 Saint Lucia’s readiness for an emergency, particularly during the hurricane season, was the focus of the National Emergency Management Advisory Committee (NEMAC) meeting on Tuesday August 14th 2018. The meeting, held at the Ministry of Infrastructure and chaired by Cabinet Secretary Benjamin Emmanuel, was attended by Prime Minister Honourable Allen Chastanet, Minister for Agriculture, Fisheries, Physical Planning, Natural Resources and Co-operatives Honourable Ezechiel Joseph, Leader of the Opposition Honourable Philip J Pierre, Parliamentary Representative for Laborie Honourable Alva Baptiste and Director of the National Emergency Management Organization (NEMO) Ms. Velda Joseph. Also present were representatives from several Government ministries, the Royal Saint Lucia Police Force, Fire Service, Red Cross, Solid Waste Management, SLASPA, WASCO, Lucelec, Flow, Digicel and District Disaster Committee representatives. 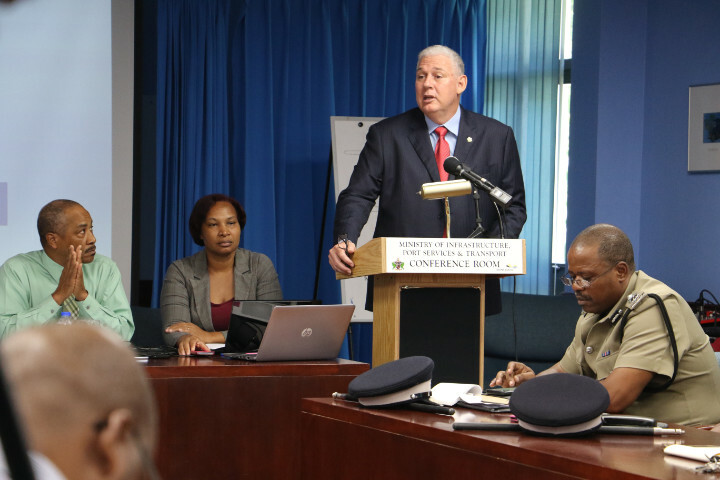 At the start of the meeting Prime Minister Honourable Allen Chastanet expressed the importance of planning and building resilience. He noted that the past year proved that disaster preparedness was a regional issue and reminded attendees that Saint Lucia must now also consider its role as a support for the Caribbean. He recapped the several storms and hurricanes which affected the region. “We may be called upon to serve as a conduit and support for other islands,” said Prime Minister Chastanet, recalling the back to back hurricanes that affected our sister islands and normal sources of support in the United States. Saint Lucia was used as a hub for getting supplies to affected islands and Saint Lucia was also called upon to take in students and to assist islands with the housing of prisoners. The Prime Minister also dealt with the issue of schools being used as shelters and the extensive desilting works which have been taking place across the island. During the session the meeting received a presentation from the Saint Lucia Meteorological Service, were given the results of a Comprehensive Disaster Management Audit and reviewed the Livelihood Protection Policy. Various agencies were also called upon to report on their individual state of readiness.